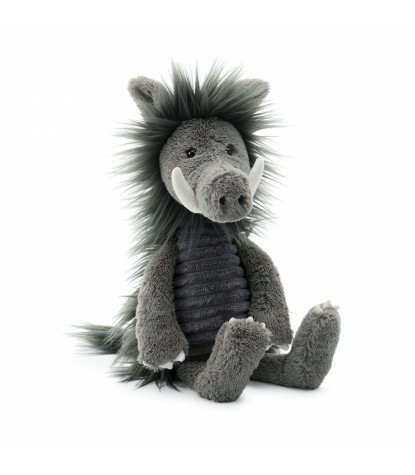 Kids are sure to go hog wild for this perky piglet! 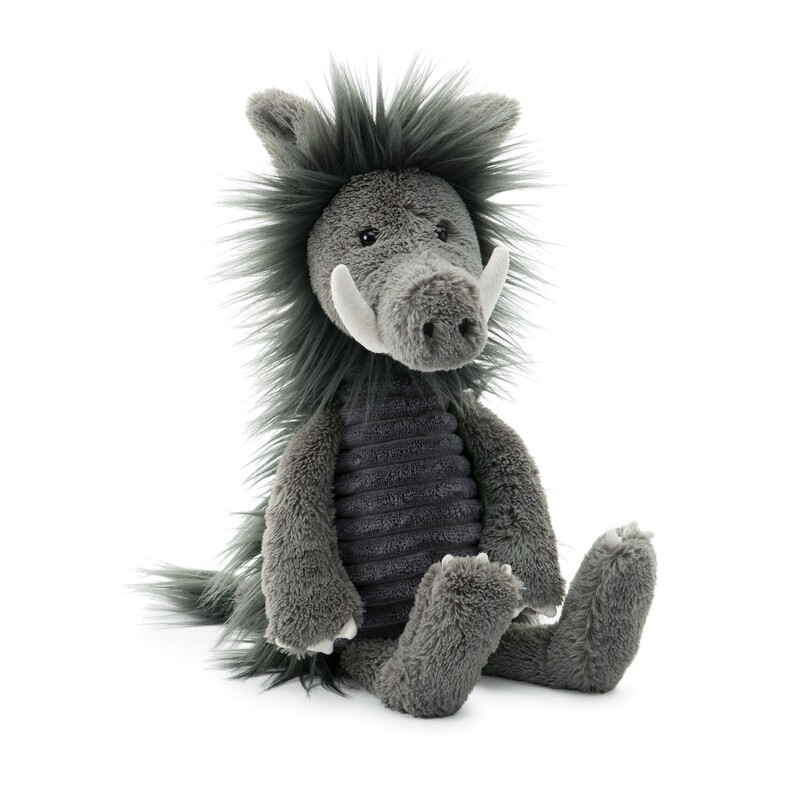 With waggles, giggles and plenty of wriggles, that's Snagglebaggle Walter Warthog! His grey corduroy tummy is incredibly soft, just like his fancy tusks! With fluffy tail tufts and a soft mane of messy fur, he's the star of the forest as he truffles along. Bright eyes, soft claws and squishy snout - that's what warthogs are all about!